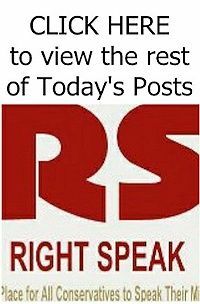 The images provide the first visual evidence that China has built an artificial island covering 75,000 square yards—about 14 football fields—and including two piers, a cement plant and a helipad, at a land formation called Hughes Reef, according to experts who have studied the pictures. The reef, which is above water only at low tide, lies about 210 miles from the Philippines and 660 miles from China. 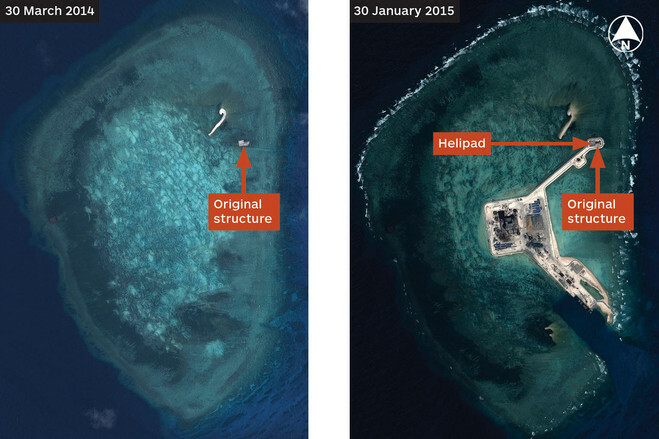 The pictures, taken by a commercial satellite division of Airbus Group and released by IHS Jane’s, a defense intelligence provider, also show that China has made significant progress in building similar infrastructure in two other places, Johnson South Reef and Gaven Reefs, where Beijing’s territorial claims overlap with those of its neighbors. 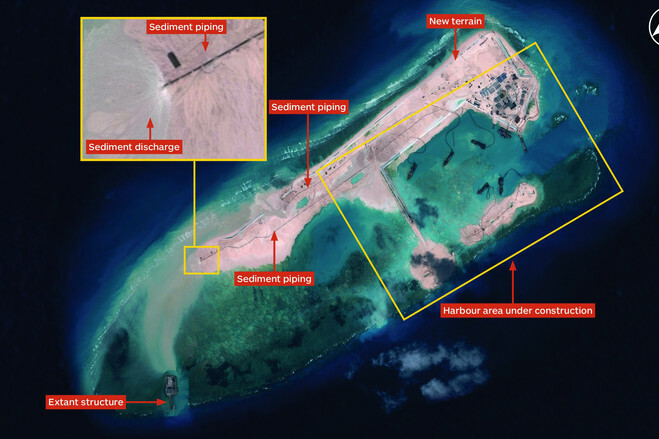 China appears to be building a network of island fortresses to help enforce control of most of the South China Sea—one of the world’s busiest shipping routes—and potentially of the airspace above, according to experts who have studied the images. The pace and scale of its South China Sea buildup shows that Beijing, despite having recently reined in its rhetoric and avoided confrontations at sea and in the air, hasn’t tempered its ambitions to project power in the region. 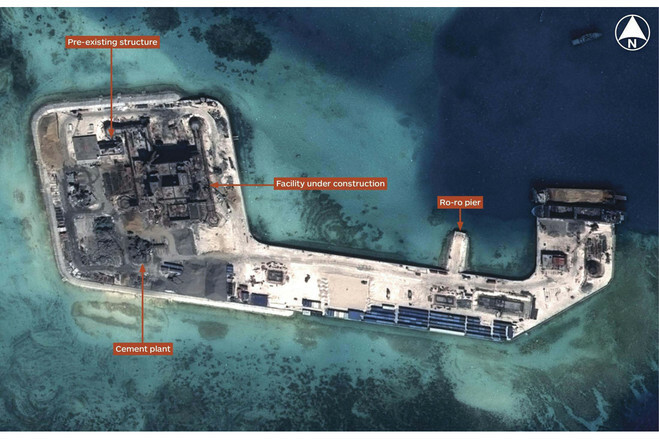 Historical images from Google Earth and others reveal that work at all four reefs began after President Xi Jinping took power in 2012. Construction at two of the sites began in the past year, despite protests from neighboring countries, warming military ties with Washington, and a new Chinese drive to improve relations in its periphery. 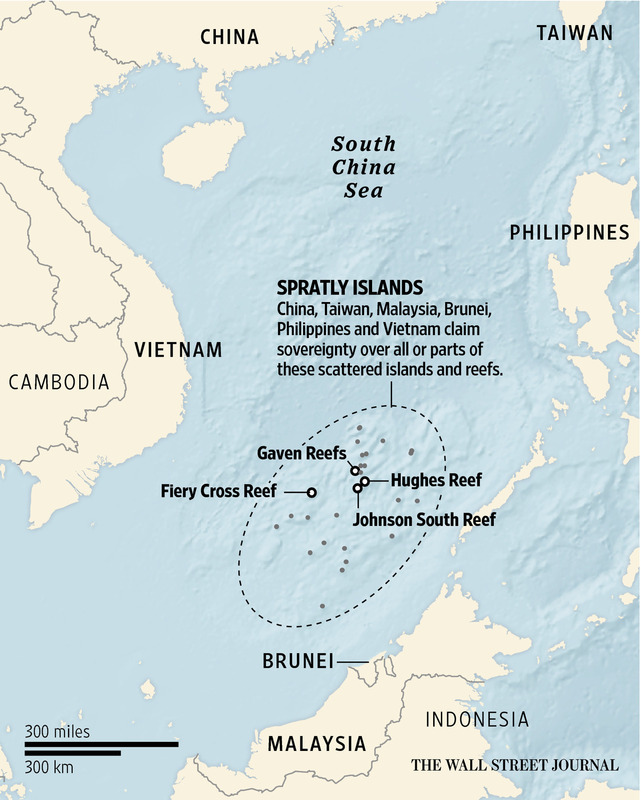 U.S. officials say they have repeatedly asked China to stop the work, to no avail. Daniel Russel, Assistant Secretary of State for East Asian and Pacific Affairs, conveyed U.S. concerns about the issue on a visit to Beijing this month, according to people familiar with the matter.